I learned more in one day in Sandra’s [Meditate on the Go] workshop than I did in a 3 day workshop by a well known author on the subject of energy and healing. This [Meditate on the Go] workshop pulls all the different areas of healing together to make a whole. It creates a complete plan that it is very doable and can transform your life by simply doing it. I had the good fortune of attending Sandra’s “Meditate on the Go” playshop and it really was the catalysis for a life changing experience. One night, my wife asked me to attend one of Sandra’s seminars with her. I reluctantly went thinking I was supporting my wife. That evening Sandra talked about limiting beliefs. What she said struck home and I seriously began thinking about my life and relationships. I realized my life had become just a series of never ending stress filled days. I’d get up in the morning trying to make it through until the late evening when I could take a few moments to for myself. But even that time was taken from me by extreme tiredness. Shortly before the Meditate on the Go seminar, I found myself exhausted by 3 PM and would often arrive home by 6 PM and fall asleep. My life had become a struggle. I was involved with helping to raise my grandson and helping my daughter regain her life after a Bi-polar episode. I had lost my sister to cancer and just recently my Mother died unexpectedly in her sleep. Additionally, I was having issues with my health and my job. Life was not fun. Meditated on the Go helped me understand my thought processes and incorporate new thoughts and feelings into my daily life. It has made a big difference in my life and my relationships. Sure many of the problems have not changed, but I have changed and my effectiveness in handling the problems has improved substantially. Once again I’ve found joy in my life and in large measure it is due to me making the decision to attend Sandra’s ‘Meditate on the Go’ playshop. Deciding to attend turned out to be one of the best decisions I’ve made in my life. If you are truly ready to change sign up for the next playshop; it changed my life, it can change yours. 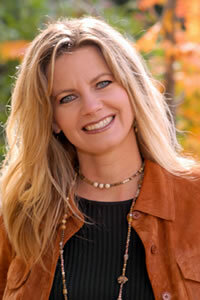 I am so thrilled with my experiences I had in the Intuitive Living training. I was able to connect with my Divine Self and listen to spirit realm. I am excited to know I am always connected. In Awaken Within I discovered what triggers me into upsets and now have the tools to coach myself out of them! The information I learned from Meditate on the Go taught me to stop and release self punishment with love knowing that I am okay. I am now learning to love my body no matter what it looks like. My body limitations are there to give me experience and I am learning to embrace them. Learning that I can actually create a business out of what I love to do with the Prosperous Light Worker, I am now able to confidently charge what I am worth. Through Meditate on the Go, I have learned how to be aware of my thoughts in the moment and transform them to messages of love. I am experiencing less anxiety and more peace than I have ever felt. I learned more in one day of Intuitive Living than I did in all the other holistic healing energy workshops I have attended. I learned so much about myself and how to heal. I am so excited to share it with others! If you want to be truly enlightened and learn to make money using these gifts, attend! This course helped me to discover my purpose, brought a lot to my awareness and now I can guide others through sessions and find their core limiting believes as well as discover their greatest strengths. The training was perfect! It’s a great way to discover who you truly are and why you are on this journey. I am so excited to start coaching! I was desperate when I went on a search online to find Sandra. I was sad that the current job that I was working in was not allowing me to feel fulfilled or passionate; I felt hopeless. I also wanted to understand why I was attracting relationships that would bring me pain and make me feel uncared for. When I saw Sandra’s website, it truly resonated with what I believed in, and the website felt right. So I chose to give her a call and I have gone to 3 sessions so far that have truly changed my life. I feel as though there is a window of hope since I have met her. She is more than a life coach. She is a caring and loving friend. I am very grateful to have found her on this website. Today I’m taking my boyfriend with me to have a session together and I am so excited so that we can both learn how to create holy and loving relationships with ourselves and with each other and of course our beautiful children and family. Thank you Sandra for all you have done! Having met Sandra at this point in time was definitely an example of how the universe provides what we need when we are genuinely seeking for growth. Have met and worked with many people for many years, and acknowledge all of them as significant collaborators on my journey. I have had a couple of sessions with Sandra through Skype and the results are quite surprising… it would seem that all my loose pieces have fallen into place. Some kind of synergy has taken place and as a result, I am actually loving life and that is a new experience. I have also attended the “Your Awakening” playshop, which was an amazing and intense experience… connecting with repressed feelings, shifting awareness, identifying deceptive beliefs, learning how to break these patterns, and ultimately also sharing divine love, among other things. Sandra has a very well balanced approach as a teacher; she is human, spirited, playful, light, profound, and very passionate about living her purpose. She is an exceptional human being. Thank you Sandra for being part of my journey. Thank you SO much for our session Saturday in Idaho Falls. You gave me so much to think about and to be thankful for. I have to tell you that I feel more at peace with myself than I ever have. I am telling myself over and over that I accept myself just as I am and I can tell that I am already losing some weight and that food is not the priority that it has been for so long. What a relief! We didn’t talk about this in our session, but I have been suicidal for years and have struggled with the ideation. It has lifted and I couldn’t be happier! I don’t know exactly what all took place with me this weekend, but I am never going back to the darkness. I don’t belong there. You are such a beautiful person inside and out and I am so happy that I got the opportunity to work with you! I have only seen Sandra for 4 sessions. Before I started seeing her I felt like if I walked into a room no one would notice me or I wouldn’t affect anyone. Now I feel like if I walked into a room I could, potentially impact everyone in the room. What a difference a few days makes. I was tired of “try and try again” without any satisfying results. I was tired of having more sad days than happy days, for no reason. The change I have made in such a short time is mind boggling. I am sooo excited for what is to come next in my journey. Reading all the testimonials was so inspiring. I too have experienced a recent healing as a result of working with Sandra. I have been in the healing arts for many years. I have seen other therapists and healers. NO ONE touched me and helped me to release my stuckness in the short 60 minute session that I had with Sandy. At the end of our first session, the primary person who I was struggling with was energetically released from me with love and kindness; so much so that even before the session ended, that very person was trying to call me as Sandy and I finished our time together. I felt so happy and detached inside that when we met later that day, I was like a new, stronger me. The me that was always there, but I did not know. I took control of myself, set healthy limits and a week later, still feel strong inside. I know no one will ever steal my “soul’s” energy from me again. I plan to continue to work with Sandy until I am totally clear from past hurts and trauma. And, this was all done on the phone! One final thing, the next day Sandra called me to see how I was. This kind of attention and caring is rare. Thanks, Sandra, for your love, compassion, empathy and skills. I am very grateful I met your soul energy and can heal mine through your guidance. To be able to feel love, to be free and to live is something I had not experienced in 4 years. My first meeting with Sandra changed that. What joy I had and still have, not only with myself, but with others as well. My life has truly been transformed. I write and give testimony to all that Sandra has to give and teach once a skeptic and now a true believer! Perhaps similar to those of you, I have been in seek of knowledge and guidance for many years. Originally, I had been looking for counseling with my marriage and how to NOT lose myself while trying to bring my husband and I close again. Upon only a few short visits, I learned what exactly … and how exactly I continue to be overwhelmed with sadness and fear. My first visit with Sandra, I will admit, I was a little skeptical. As I mainly listened and really opened myself up to hearing her message, no words can explain, only experience and witness can say it all. As Sandra defines the experience of rapid eye therapy and her technique, “Peeling away my onion” is the key to healing. I discovered that the sexual abuse I suffered from ages 5 to 7 years old, were and still are a work in progress, the trigger to many of my SELF false beliefs or as Sandra explains it, “Self Limiting Beliefs.” One experience with Sandra that initiated my desire to write and give testimony to her work is… To start, I have a shoulder injury from a car accident of almost two years. I suffer from chronic pain through my neck, shoulder and arm, (keep in mind that this was not the reason I was seeing her) – As we were ending a long two-hour session that was full of many tears, panic and shame, I realized that I had also felt completely free of pain and ache. I cannot explain my experience specifically, Sandra is not a physical healer but somehow that night as I released the heaviness and burdens from my spirit, my body was so relaxed and spiritually content, I was free of pain, I became my own healer. In closing, just in case you haven’t caught on to “My Story” yet and my exact testimony, if you plan on going to Sandra for one specific challenge in your life, hoping to find answers and closure, be prepared to find answers and a path to more than one challenge in your life. It is truly about finding your “Real Self” – The divinity within and your spirit. She is amazing, a True Angel from Heaven!!! Since seeing Sandy, I have been able to recognize my limiting beliefs and see my life from a healthier point of view. I am experiencing freedom from taking on other’s problems as my own. My relationships are healthier and I no longer have to prove myself to family and friends to show that I am good enough. I have healthier boundaries and am learning to love myself more every day. Thank you! I have been to counseling, telling the counselor the answers they wanted to hear so that I could feel better about my ego. I have read books. But that only addressed the facade I showed to others and that didn’t have any emotional impact on me, which would cause me to change. I just learned how to show the facade better. Then Sandy came into my life. I had known her as my wife’s friend and even went to one of her monthly meetings. The spiritual energy I felt that first meeting was powerful. I held the feelings close but didn’t chase after them. That was until my life fell apart. All the wrong things I was doing to promote my life’s facade to others came crashing in around me. My wife and I were headed for divorce, I lost my job and I lost many of the friendships I treasured. The real “me” was made transparent and my mistakes were made public. I wanted to go “Home” because the burden of my mistakes was too much to bear. God Bless you in your search because I know you will be blessed along the course you decide. I have known Sandy for several months on a business basis. On impulse, I asked for therapy. I was fairly happy and didn’t feel stressed, but some things bothered me in my relationships with my spouse and family. I didn’t know why I was so uncomfortable accepting love. After just 4 sessions, and some serious movement out of my “comfort” zone, my whole family has noticed a transformation. I can’t believe now how uncomfortable I was in what I thought was “comfort”. Sandy is amazing the way she relates and her skill with “digging” for the cause and then tailoring affirmations and visualizations. I am now able to meditate, and able to express and accept love. My physical relationship with my spouse has transformed into something joyful and anticipated. I have opened communication with my mom, who is deceased and my father who is still here. Also with my daughters and their spouses. The relationships have blossomed and expanded into something I had only dreamed of. I have been able to open communication with my horses. I no longer need to use my breathing machine for sleep apnea. My blood pressure, which was high, has returned basically to normal. When emotional distress is “triggered” I quickly identify the thought process and replace it with positive affirmations. I am so much happier. Life is a joyful journey now. I highly recommend Sandy as a life coach. My husband is walking around on clouds and says it was “worth 10 times (at least) what she charged!” I learned more in a 1-day workshop from Sandra than I did in a 3-day healing workshop. Even though I could not see Sandra face to face because we did our session over the phone Instead of in person. I still received tremendous relief from some very painful issues that I have been dealing with for years. I was finally able to have a good night sleep after many sleepless nights. Thanks, Sandra for helping me. Using this process, I started seeing results immediately. I am much more centered and less reactive at work and home. My relationships have transformed and my life has improved in every aspect. This is a simple process that works and is different from any other process I’ve seen. My first session with Sandra was over a year ago. I was just reviewing my notes from that phone session, and remembering how she helped me in my time of distress. Sandra was able to instantly grasp my situation, uplift me from my feelings of despair, and outline a plan for me to get back on track. Sandra is truly gifted, and a gift, and I am ever so grateful for the work she is doing in the world. My Story: I went out looking for my husband when he wasn’t home when he said he was going to be. I called and called him on his cell phone and got no answer. I got in my car and drove north bound on I-15 hopelessly looking for him. I came upon a accident on 10500 South. I saw my husband’s Trailblazer. I pulled in front of the vehicle and walked back to the Highway Patrol officers that were there. I was told that my husband was killed in the car accident, that it was instant and he didn’t feel anything. We don’t have any kids and all of my family is out of state. I lost my life I once knew as perfect, in one night. I was lost, didn’t know how I would live without my soul mate, how I would support myself, or how I could be alone and be OK. I was diagnosed with post traumatic stress disorder, depression, insomnia and anxiety. I was placed on so many pills I couldn’t keep them straight. My family forced me to go to counselor after counselor trying to find someone who could help me. None of them did. Medication was the only way they knew how to help. I was referred to Sandra by a co-worker who was seeing her. I thought to myself, how is she going to help me when no one else was able to. All of the counselors I had seen sat and watched the clock or set a timer. When the hour was up, healed or not, I was on my way, with my new pills and a appointment for next week. I was astonished with my first meeting with Sandra. She listened, she sympathized, she gave me a plan to get better, she gave me unconditional love, and the most important thing she gave me on the first visit was hope. I didn’t leave her office until I was OK to leave. I was there over two hours my first visit and she never looked at a clock or told me my time was up. I have been seeing Sandra for months now. I know I will see her many more months. She has brought me to a place where I am emotionally, physically and spiritually healing myself. With her methods and treatment I know I can go on with my life without my husbands physical presence next to me. Sandra has taught me that loving myself and seeing my divine self is the most meaningful and healing treatment I can find. And then I received a miracle, and that miracle was HOPE!! Through Sandy I was able to feel alive again, I was able to see myself with more compassion and forgiveness. My mind was opened to new possibilities of change, and I loved it. I craved it!! For being someone who lived life unconsciously I felt that I had been given my life back. A change had taken place in me, and I wanted to share it with the world. I began thinking differently; I started seeing my life in a new light. Although I didn’t stop having problems, I did start reacting differently to them, giving me power to change. Starting with myself I began learning to love. Day by day step-by-step things in my life started falling into place. I realized that the thoughts we think create how we feel and essentially how we live our lives. As I learned to Release the past in love, and be grateful for the lessons I learned… I began to remain in the present; What is important is what I’m choosing to think, believe, and say right now. I found that as I forgave myself I began to trust myself. I also began to trust others, My body was healing, and my heart was healing. I realized that I had the power to change my life if I was willing to change my thoughts and release the patterns that kept me living in the past. THANK YOU Sandy!!! Most of my life, my thoughts have been that there is something wrong with me, that I needed to be fixed. The coaching and rapid eye sessions I have received from Sandy have helped me to discover that I am okay and that I can be happy and at peace. The rapid eye session she did with me on perfectionism was especially powerful. With Sandy’s help I have been able to find out what my limiting beliefs are, how to release them, and how to recognize them when they keep coming up. She taught me that I can create my life instead of just exist. I was also able to release 70 pounds by learning to love and accept myself and by healing emotional issues that Sandy helped me to recognize. Thank you, Sandy, for being the love that you are and for living the concepts that you teach! I’ve always been very critical of myself, my wife and kids and have a hard time relaxing. During the first 20 min. of our session Sandra was able to get to the deepest root of the problem. I am now viewing life and people VERY differently. I experience more peace, love, and relaxation than I’ve ever felt. I had no idea I could feel this way, Thank you Sandra. I spent a year seeing a psychologist every week, setting a game plan and not feeling better week after week. After 1 Rapid Eye Session with Sandra, I was able to release trapped emotion that I didn’t even know was there. I believe it’s a miracle to release so much so quickly. There were emotions trapped that I wasn’t even aware of. The words she used in the RET session to release negative emotions were right on my issues. I FINALLY feel happy and at peace. I wish everyone could experience it! Energy work is something I would have never considered. I knew nothing about it before I contacted Sandra. It is such an amazing experience to feel new energy moving through my body. I feel humble, grateful and full of love. Words can’t describe it, other than it is life changing. Since I first started my sessions, my connection with God is stronger than its every been in my entire life! If you are wondering if it’s for you, JUST DO IT!